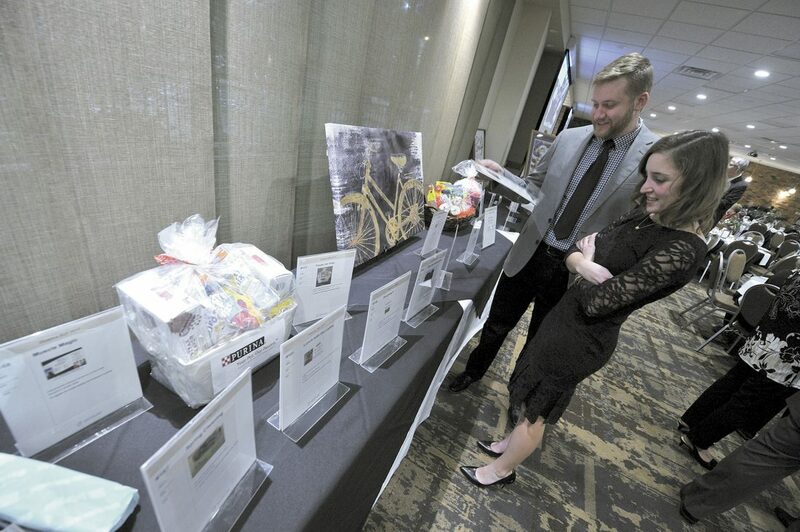 Taylor Cable and Ashley Cypress, both of Fort Dodge, look over some of the silent auction items available at the annual Trinity Hospice Ball held at the Best Western Starlite Village Inn & Suites in 2018. An upcoming social event will enable people to have fun while raising money to help those facing a life-limiting or terminal illness. The 27th annual Trinity Hospice Ball will be held Feb. 2 at the Best Western Starlite Village Inn & Suites, 1518 Third Ave. N.W. 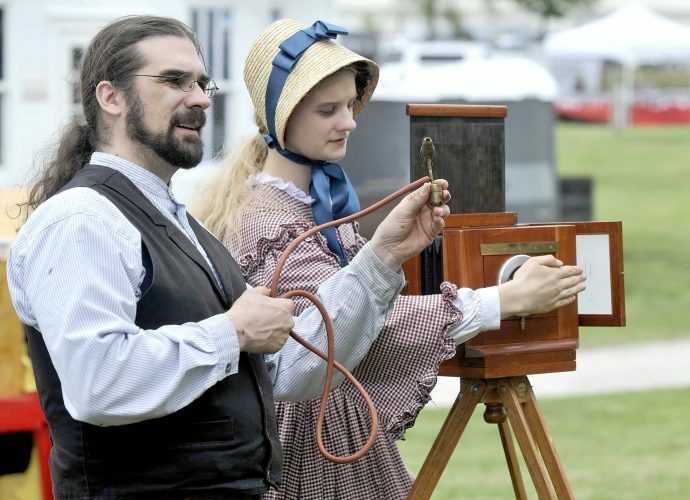 The event will begin at 6 p.m. with a social hour. A buffet dinner will be served beginning at 7 p.m.
A short program featuring the announcement of the 2019 Debbie Hofbauer Compassionate Care Giver Award will follow the dinner. Dancing will begin at 8:30 p.m.
A silent auction will take place throughout the evening, ending at 10 p.m. Mobile bidding using smart phones will be utilized during the silent auction. Those interested in bidding should pre-register by visiting www.unitypoint.org/Foundation(Fort Dodge). There will be people serving as personal shoppers to help those who don’t have smart phones place their bids on the night of the ball. Mobile bidding will actually start the week before the ball. Individual tickets cost $50. A reserved table for four people costs $350, while a reserved table for eight costs $650. For $1,200, corporate sponsors will receive a presence on the mobile bidding web site, a reserved table for eight, drink tickets and special recognition at the ball. To order tickets, send a check and contact information to Trinity Foundation, Attention: Hospice Ball, 802 Kenyon Road, Fort Dodge, IA 50501. All proceeds generated by the Trinity Hospice Ball are used to buy patient supplies and equipment. The money is also used to pay for family and staff educational materials, bereavement programs and hospice volunteer training. Feb. 2 from 6 to 11:30 p.m., Best Western Starlite Village Inn & Suites. Hosted by UnityPoint Health — Fort Dodge. 6 p.m., social hour; 7 p.m., dinner; 8:30 p.m., dance. The silent auction continues throughout the evening. Tickets are $50 for one; $350 for a reserved table for four; $650 for a reserved table for eight; and $1,200 to be considered a corporate sponsor. Mobile bidding will be used for the silent auction. It is recommended you preregister on the bidding site prior to the event as this will be the only way to place bids during the ball.